This rare little case is shaped like the scissors it was made to hold. It is made of Pinchbeck or gilded brass and has a ring to attach it to a chatelaine or chain. Both sides have embossed scrolling designs surrounding the bust of a Renaissance lady. Inside is a tiny pair of steel scissors (2 3/8" long). They are in nice condition with no rust and they cut well. These are children's scissors and adult fingers do not fit in the bows. The condition of the case is excellent with no dents or damage and no loss of gilding. 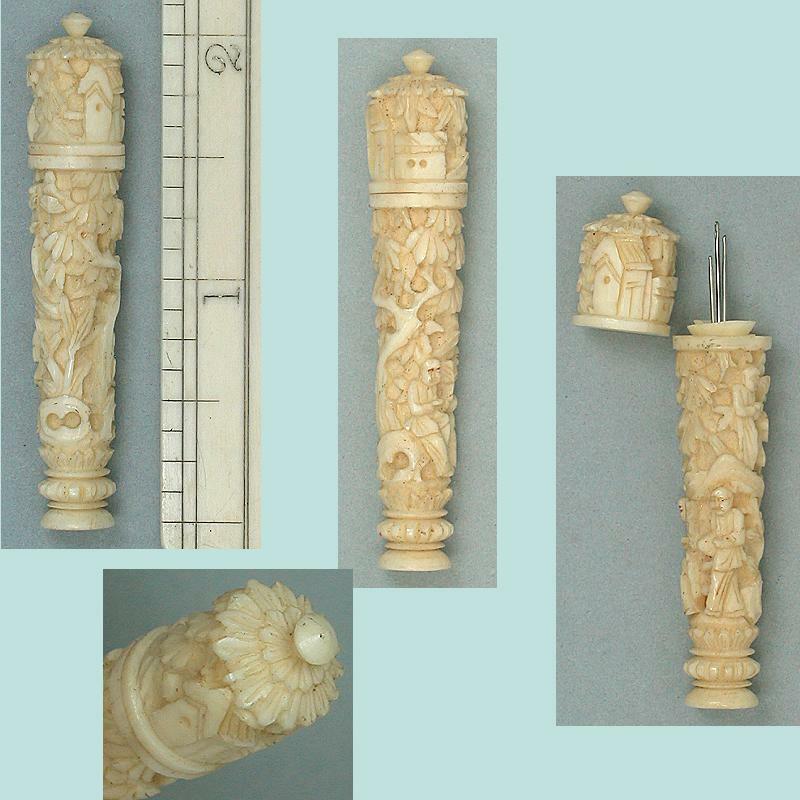 It measures 3 1/2" long, not including the ring and it closes securely. 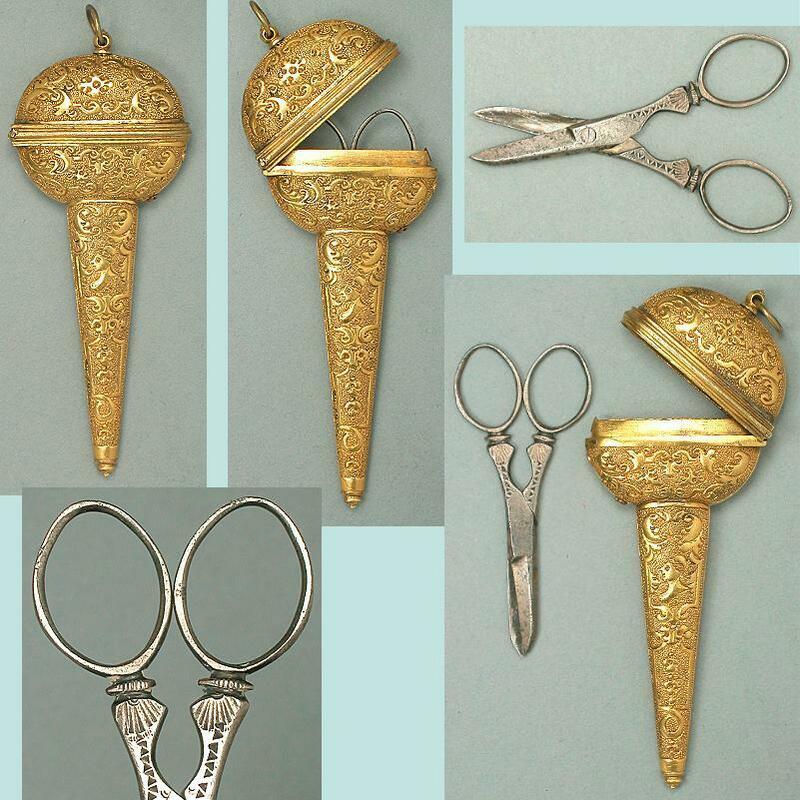 A scissors case in this style is shown on a chatelaine on p. 61 of The Story of Antique Needlework Tools by Bridget McConnell and on p. 38 of Genevieve Cummins & Nerylla Taunton's Chatelaines, Utility to Glorious Extravagance. The postage shown includes Registered shipping for non US addresses and insured shipping within the US.